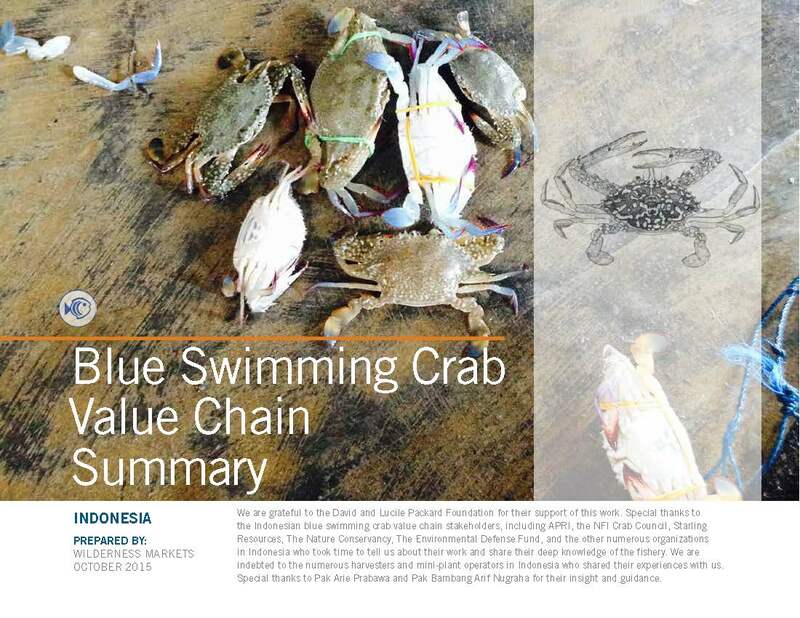 Wilderness Markets is pleased to share our recently completed summary report on the Indonesian Blue Swimming Crab. Can the Indonesian Blue Swimming Crab Industry become sustainable? We are grateful to the David and Lucile Packard Foundation and to the fishermen and value chain participants in Indonesia for their support of this work. To learn more and download this report.